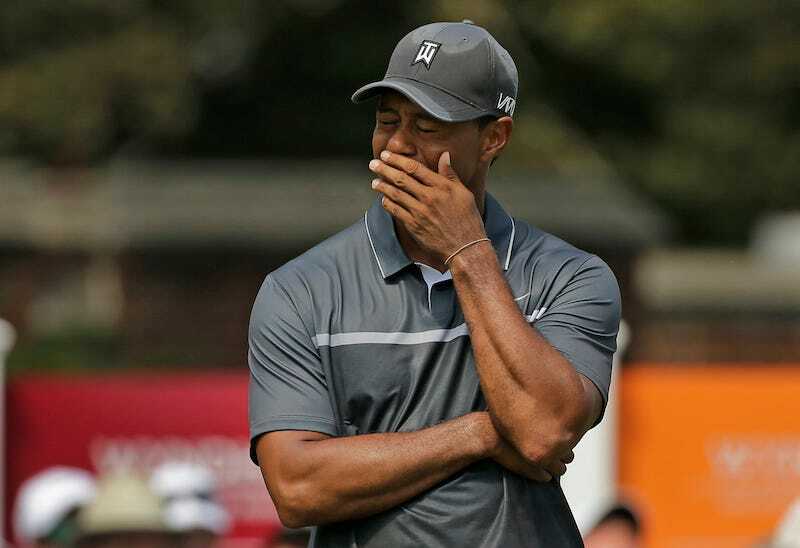 Tiger Woods hasn’t played in a golf tournament since August. The 40-year-old still has no timetable for his return, and his back is admittedly in depressingly bad shape. Over the weekend, a couple of tweets claimed to have details on his health, and the purported details were bleak. Since we all last saw a Tiger at the HWC in December things got better for a while but have got worse, short gentle jogging started around Christmas, but since then it’s got worse, he’s unable to drive a car, needing a driver to take him anywhere, he sits in the passenger seat with his seat fully reclined. He’s lived in his Albany apartment since December to minimise any stairs he has to climb. At current he can only walk around for 30-45 minutes, and sitting in a chair is no longer possible, he lays down a majority of the time. He was aiming to play the Players in May, but that is off completely now. All I can say, is I hope the greatest golfer doesn’t rust, fully recovers and comes back and entertains us all again soon. The tweets that appeared this weekend about Tiger’s health are ridiculous and absolutely false. It’s reprehensible that every few months someone makes something up and it’s treated like a real story. Tiger continues to work on his rehabilitation and we will have an accurate update at the appropriate time. Who do you trust: The anonymous Twitter account, or the most powerful PR machine in the sport?